M. David Fonseca graduated from Queens College, part of the City University of New York as a Queens College Scholar, with a B.A. in English and Political Science, and graduated from Fordham Law School in 2004. While in law school, Mr. Fonseca was an intern for the Honorable Judge Joanna Seybert, of the United States District Court for the Eastern District of New York. Upon graduation from law school, Mr. Fonseca joined the Pagan Law Firm primarily practicing in the field of civil litigation and focusing in appellate and motion practice. 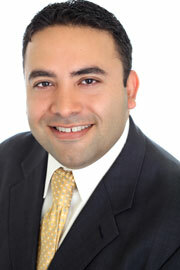 Mr. Fonseca joined Mitofsky Shapiro Neville & Hazen, LLP in November 2006, and continues as an associate with the firm. Mr. Fonseca is a member of the New York State Bar Association, the New York City Bar Association and has experience arguing cases before the Appellate Division, First and Second Department, as well as the Appellate Term, First Department. Mr. Fonseca resides in Port Washington with his wife and child.